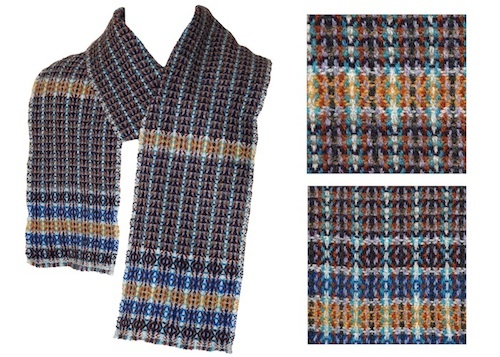 This collection is inspired by Fair Isle knitting. I’ve taken some of the traditional motifs and reinterpreted them as woven rather than knitted designs, using the interplay between warp and weft to achieve a similar complexity of pattern and colour. Even within the Shetland Islands, Fair Isle is remote. Inspired byJudith Schalansky's Atlas of Remote Islands (Fifty Islands I have not visited and never will) each scarf in the collection is named after a similarly inaccessible island, from St Kilda in the Atlantic to Pitcairn in the Pacific. 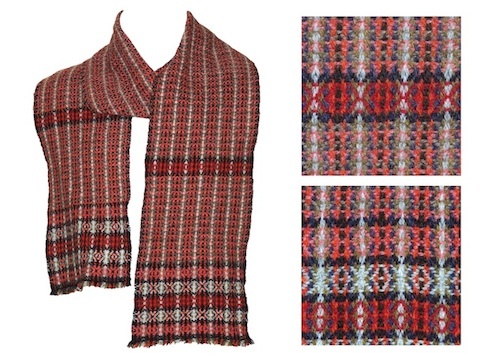 The scarves are handwoven using supersoft lambswool spun in Scotland. They are £95 each - see How to Order for ordering and delivery information.